NEOLITH invites you to pre-register your NEOLITH warranty. This will improve the response time on any callouts should you experience any problems with your NEOLITH surfaces. 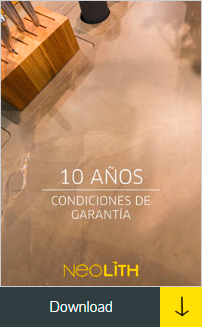 Fill in the warranty registration form, then upload a photograph of the NEOLITH installation​. Please also upload a scanned or digital invoice from the job​. All upload files should be JPGs or PDFs.